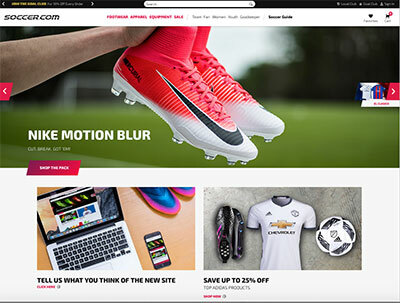 I was involved with three redesigns while at Soccer.com, this most recent one was launched in April 2017. 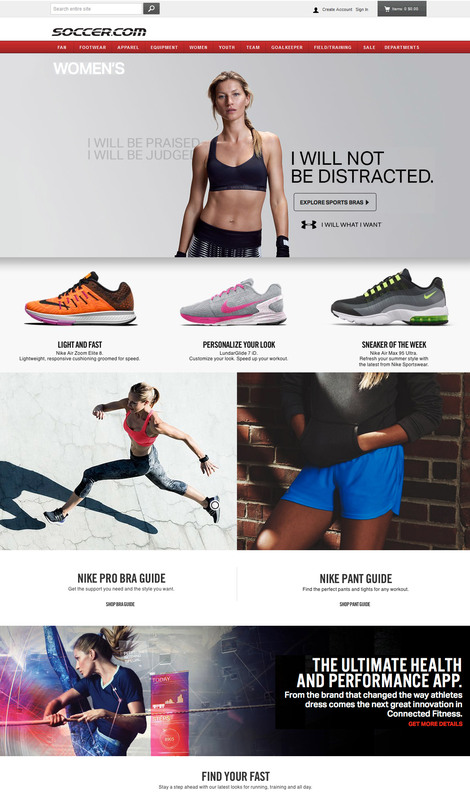 This was a full site redesign which included an e-commerce platform change and the move to a fully responsive design. I served as a UX designer on this project and worked directly with PointSource agency for over a year on the project. I also assisted on much of the CSS development. 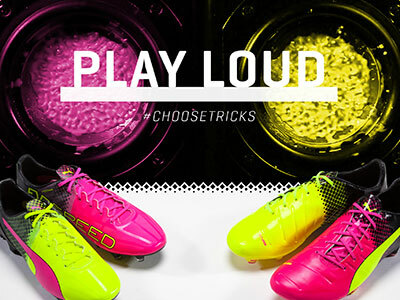 Fully responsive landing page designed for the Puma Tricks marketing campaign. 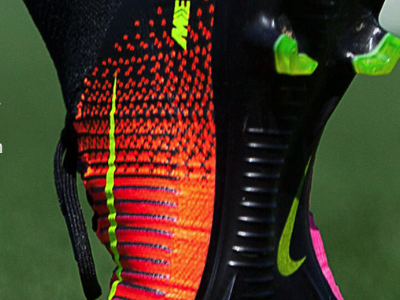 My responsiblites included gathering product photography from our photography department and gathering player imagery and videos from Puma for use in the construction of the landing page. Meeting with other stakeholders to determine the visual design. 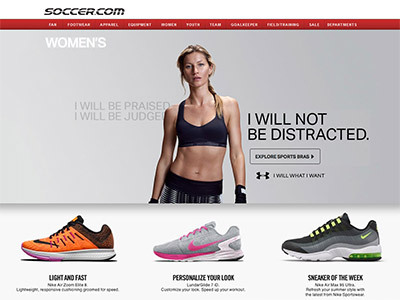 I served as the lead UX visual designer for the Soccer.com category landing page design concept. This idea was primarily for the women's cateogory page but the same concepts were used on additional category landing pages. 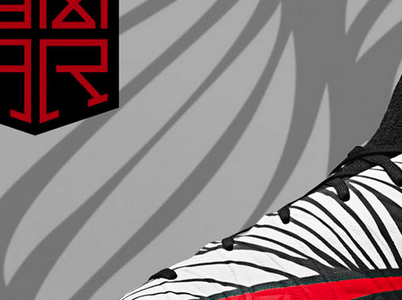 I designed and developed this responsive landing page for the Nike Hypervenom marketing campaign. 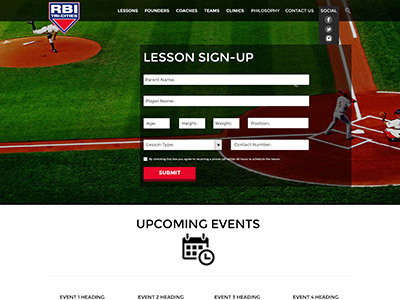 I worked with junior graphic designers and the marketing team in the creation of this page. I also did all of the front-end development. 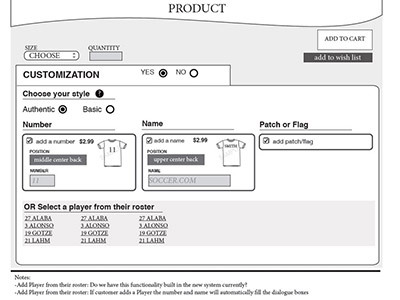 Wireframe created for SOCCER.COM when we redesigned the customization feature on the product page. 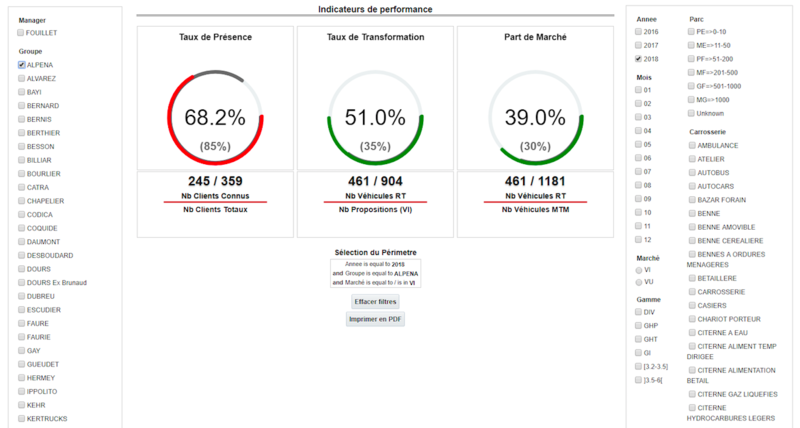 My responsiblites included: Gathering information from customer feedback and stakeholder interviews, building rapid iterations and prototypes, and working closely with developers to determine functionality. 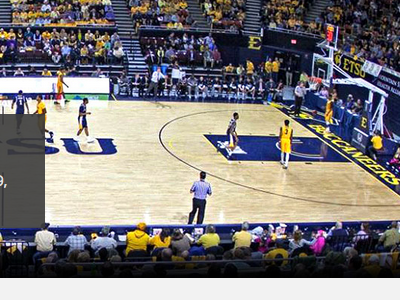 Fan blog for the East Tennessee State basketball team that I created in my own time. I designed the responsive theme and implemented it into the Wordpress CMS. 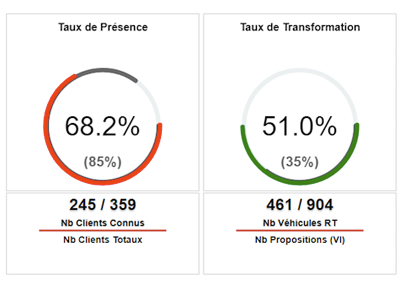 This is a freelance project where I was the Lead Visual UX designer. I created original theme for implementation into Wordpress. I worked directly with the client and developer on the design concepts. Collaborated with fellow designers, to create wireframes, mockups, prototypes, UI assets, and other design artifacts as needed. Designed websites mockups and wireframes for new clients. © 2019 Eric Franklin. All rights reserved.